This webinar will be based on Jon Cifuentes' VB Insight report, published in May 2015. Over 84% of marketers think email contact is important for building brand loyalty -- the thing about email? It works. It works well. It might even work so well that marketers are satisfied with the ROI and don't even know to mine the tools for more gold. In the latest VB Insight report, we learn that a third of marketers don't even know what kinds of devices are opening their emails. And that's leaving money on the table. 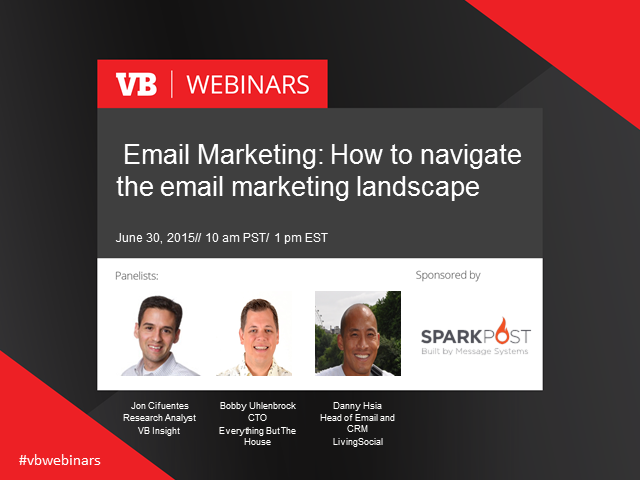 In this webinar, VB Insight analyst Jon Cifuentes will dig deep into email marketing, providing an overview for proven ROI, desired volume and velocity of email.